DISTRICT BOUNDARIES William O’Brien State Park marks the northern border, while the St. Croix River marks the eastern border. Students came from as far as two miles west of Marine and three miles south of the city. DISPOSITION The old building was replaced by the present school, and it was converted into apartments. This district was designated No. 2 and remained so until 1862 when it was changed by an act of the legislature to No. 3. 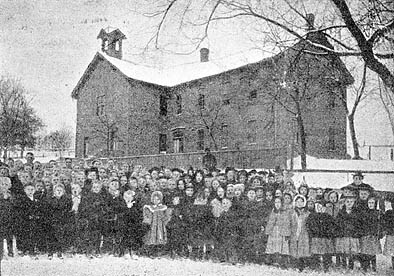 First two school buildings were destroyed by fire in 1856 and 1867. 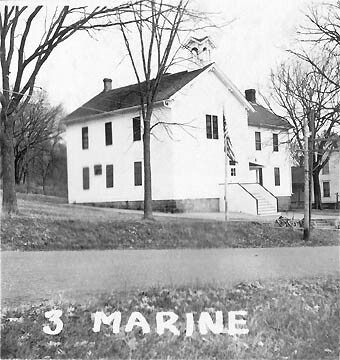 The third building was two stories tall with 4 classrooms; an addition was built in 1893 to bring it to its current size. Nine grades attended this school for several years and enrollment in 1898 was 176. The school closed in 1955 when the district was consolidated with surrounding districts.